Vitamix 5300 versus 5200...What's the difference and which one should you buy? There's a lot of confusion out there, but this guide is here to make it easy. An easy to follow chart which compares the different features of the 5300 and 5200. 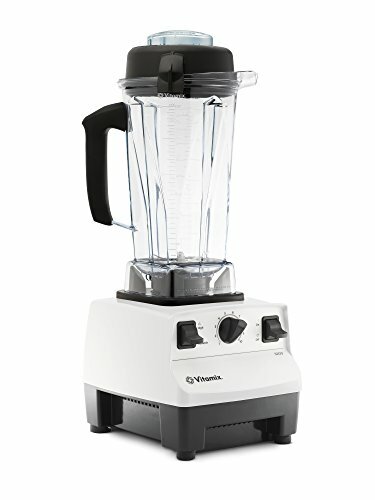 My recommendations on which one you should choose based on my 7+ years of owning a Vitamix. A place to comment and ask questions. Mobile users can scroll from left to right by swiping. 20.5 x 8.75 x 7.25 in. The main differences between the 5300 and the 5200 comes down to the motor-power, jar style, pulse feature and color selection as seen in the chart above. The sizing of the jars is probably the biggest and most important difference between these two blenders. The wider jar on the 5300 offers in advantage in that it has the ability to sit under a low cabinet. However, it always takes a little bit more volume of ingredients to get a vortex going on a wider-mouth jar. The reason for this is simply because the taller jars are skinnier at the bottom. This means that a vortex can form easily with less liquid. On the other hand, you'l have an easier time getting a vortex for super large servings in a wider-base jar. Simply put - wider jars are better for making large batches while more narrow jars are better at small ones. At the end of the day, they can both do the same thing, especially with use of the tamper. Do note: You can get a smaller 32 oz jar later down the line if you're finding small batches to be problematic with the 5300. Overall Winner: ​5200 for Smaller Families, ​5300 for Larger ones. As you can see by the image above, the 5200 and the 5300 share very similar interfaces. The main difference is the HIGH and VARIABLE speed on the 5200 and the PULSE button on the 5300. The HIGH on the 5200 will basically turn the blender into "turbo" mode, which is a function of the original Vitamix design. Once you make this switch, variable speed mode is disabled. On the other hand, the 5300 has all the speeds you need with the knob. I wouldn't say that the turbo or "high" feature gives it any sort of advantage. Again -- all the Vitamix models can do the same thing in terms of the meals they can blend up. We'll talk about the pulse function in the next section. The pulse feature is nice to have, but not totally necessary. It's simple enough to pulse the blender by toggling it on and off. In fact, that's what I do with my older Vitamix unit and it works pretty well. However, it's probably not that great for the machine having to actually power it on and off. So this isn't a deciding factor, but rather a slight edge that the 5300 gets over the 5200. If you're wondering what you would need pulsing for, it's good if you want to get a rough chop on ingredients without totally pulverizing them. You'll end up using it more than you think. ​The 5300 comes out slightly ahead in horsepower, which gives it a slight edge, even though power isn't everything when it comes to a blender. You'll still be able to do the exact same blending jobs, but a slightly better motor on a blender that's well designed like a Vitamix will make the process just slightly more seamless. Both the 5200 and the 5300 can do it and do it well. It's just a matter of a little extra tamping here and there and feeling slightly more/less resistance on the machine. Obviously, colors are subjective. If you HAVE to have a certain color that's not offered with the 5300, then you know which one to choose. As of writing this, the 5200 has a much wider color selection - at least on the Vitamix website. You may be able to find different things on different retailers like Amazon. Both units come with a tamper, but I just wanted to bring it up because it's probably the best part about a Vitamix! One thing I dislike about Blendtec units is that sometimes ingredients will get stuck and I'll have to stop the unit so that I can re-adjust and make them hit the blades. I NEVER have to do that with a Vitamix. That's what makes both of these blenders top of the line, no matter which one you choose! As of writing this in 2019, I would probably go for the Vitamix 5300, but it's a toss up. If I was able to find the 5200 for substantially cheaper, then I might do that. 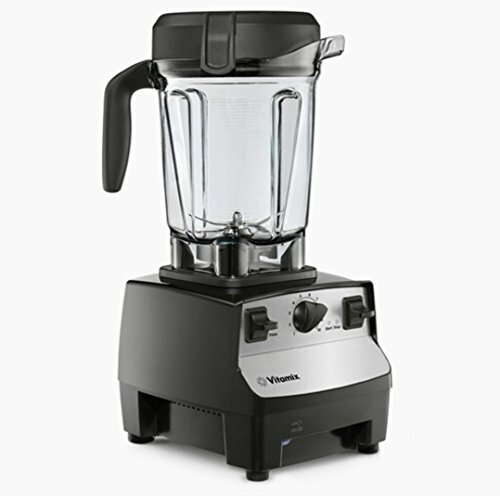 But overall, I think the Vitamix 5300 is a better enough unit to command a slightly higher price. I might also consider getting a 32-ounce container on the side for smaller jobs. They're not that expensive, and it completely mitigates any disadvantage that the tall jar has when it comes to making smaller batches. Want to learn more about blenders and see our top picks of all time? Be sure to check out our full blender guide here.